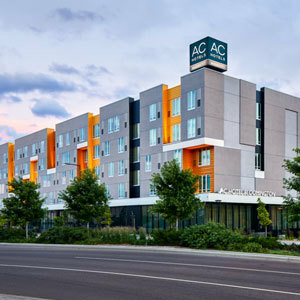 The AC Hotel chain located in North America features hotel bedding made by DOWNLITE. The AC Hotels uses our EnviroLoft down alternative pillows. These pillows are available for sale to home customers. This chain may also use a feather pillow - please call the hotel to verify. To learn more about how to wash your hotel bedding, please visit BeddingCare.com.